It's Kids Kraft Time! 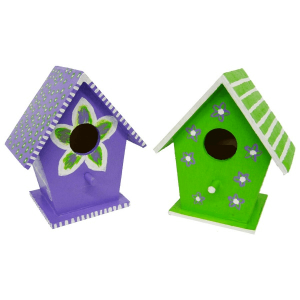 *no coupons, no Groupon available* Join us as we build and paint beautiful birdhouses with the littles. Join us as we build and paint beautiful birdhouses with the littles. Your kiddos will get to customize the look and design of their birdhouses. In this kids-only class, your kids can their imagination and artistic skills run wild. It’s the perfect way to end the holiday break before everyone has to return to school for the New Year and it’s stress-free because we’ll provide all of the materials! Feel free to bring your own snacks or food – and let your kids craft to their heart’s content!